Immunization/Req. Report provides a print-friendly list of each Student's Completed, Due (30 days), and Overdue requirements. You can choose to search for just those Students who are due or overdue - or you can print all records for all Students. 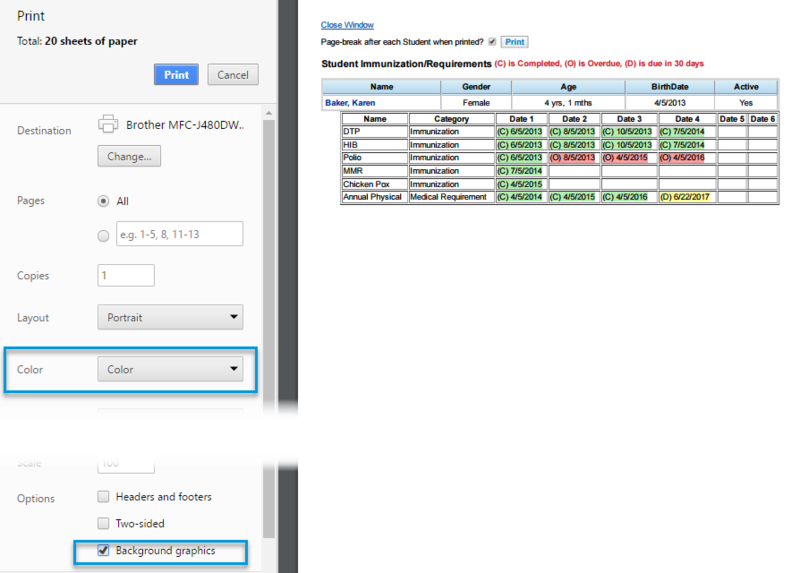 To print each student's information on a separate page, check the box beside Page-break after each Student when printed? Completed requirements- are highlighted green and have a (C) before the date completed. Overdue requirements - are highlighted red and have an (O) before the date they were due. Due (30 days) requirements- are highlighted yellow and have a (D) before the date they are due. 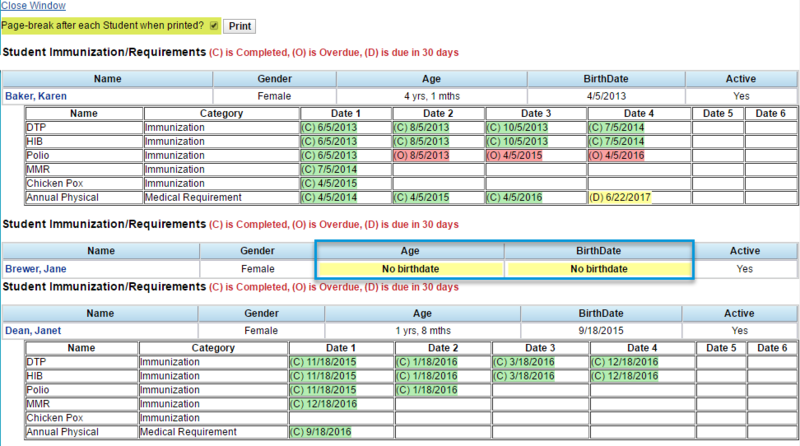 "No birthdate"- are highlighted yellow and have no requirements listed. A birth date must be entered to calculate due dates. To print the report with Green, Yellow and Red highlighting on dates, check that you are printing in Color and have Background Graphics set to display. Your printer settings may look different....this is an example.